Paul Xu Vice President, DJI DJI is a pioneer in developing and manufacturing innovative dr..
Close to millennials in age, but different in attitudes By Linna Zhao Head of Insights, Chi..
Young people respond to ads, especially with fresh content By Zod Fang Deputy Head of Datacenter..
As search progresses, fundamentals endure By Elvis Xu Managing Director, Search Marketing .. 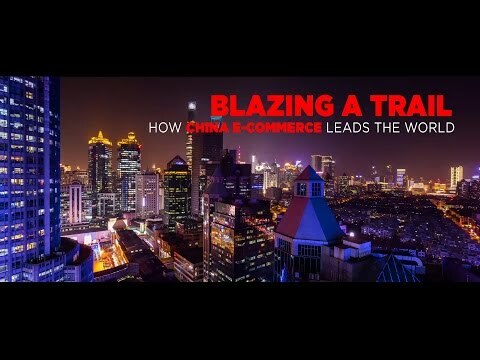 Dynamic content helps future proof consumer relationships By Abby Wong Dir..
Keep pace with constant change to stay relevant to Chinese youth by Panos Dimitropoul.. Brand building essential part of overseas expansion by Scott Kronick CEO, Asia P..
Courtship, not a one-night stand, produces the richest results by Ali Zein Kazmi VP P.. Think mobility, not mobile Mobility is a mindset and fulfillment of lifestyle expectations. Brands .. Marketers must ensure relevance to this audience By King F. Lai CEO Asia Pacific and .. They purchase luxury online, in-store, and while traveling by Alexander Runne Chief S..
Go young Get your youth-oriented marketing right. Youthful key opinion leaders such as pop star L..
Media investment needs to span the customer journey By Charlotte Wright Chief Strate..
Brands must balance healthy returns against potential risks by Rycan Di Managing Dire..
Like the best ads, the best content will reinforce brand equity by Rupert McPetrie CEO Me..
Young male celebrities endorse cosmetics for female audience by Leon Zhang National H..
1. Reassess Reassess your fundamentals. If you have hit your reach targets, but not delivered a ch.. Improving content and user interactive experience are key by Jerman Zhang Managing Directo..
Category ups and downs swing in narrower range Changes mirror transition of the economy &..
Category bounces back on sportswear strength After several years of slow growth because of..
E-commerce stokes price competition The baby care category declined 25 percent in the Bran..
Growth slows as banks navigate transformation The banks category declined 6 percent in va..
Quest for career success drives steep value rise With a rise of 46 percent, education, a..
Brands respond to consumer demand for healthier products The six food and dairy brands inc..
Chinese Traditional Medicine drives international expansion The value of the healthc..
Small appliance brands produce largest growth The home appliances category increased 9 per..
Growth shifts to mid-range as category rationalizes The three hotel brands that rank in t.. Regulations add stability, but slow category growth The insurance category, declined 6 per.. Weaker tourism, mall traffic reduce sales The Jewelry retailer category declined 31 percen..
Wider economic forces shape category trends The value of the personal care category in the..
E-commerce brands dominate growth and move into grocery E-commerce drove the healthy 22 pe..
Economic change causes brand value fluctuations The value of the technology category incre..
Brands form alliance for 4G competitiveness The telecom provider category increased .. Domestic trips, booked on mobile, drive value Driven by the sharp brand value rise of Ctri..
Old and new economy brands expand abroad Global growth presents great potential &nb..
Chinese brands surpass multinational brands in Brand Power score This shift signals long-..
Brands across categories increase millennial loyalty with insightful marketing The right..
E-commerce dominates retail ranking in number of brands and brand value Sales increasingl..
Media fragmentation continues as spending shifts to new channels Content marketing draws ..
Consumers worldwide improve perception of Chinese brands Innovation rises as quality co..
Chinese brands obtain an increasing proportion of revenue from overseas But the p..
Chinese M&A activity grows, but the consumer impact on brands lacks clarity More comm..
Chinese brands lag overseas competitors in Brand Power factors But millennials view Ch.. Weaker outbound travel impacts category growth Several factors impacted both international.. Brand value grows, but growth rate slows Alcohol is the most represented category in the .. But growth requires greater market insight and access By Scot Beaumont Vice President Google..
Changing “Brand China” perceptions will require insight, communication .. Affordable innovation motivates consumers abroad to try the brand Strong local partnerships..
Strategic acquisition and organic growth yield global leadership Ninebot and Segway brands ..
Worldwide locations, heavy R&D investment build global tech brand Digital and traditional media..
Elex endeavors to introduce global consumers to the creativity of Chinese brands Brand buil.. Exposure on AliExpress helps Chinese companies build brands globally Strategies vary for de..
Overseas consumers unfamiliar with many Chinese brands Most Chinese brands are little.. Entrepreneurs see opportunities along the Silk Road and beyond China was a great in.. Expansion to developed markets makes brand building more critical Entrepreneurial, internet-drive.. These are the three most important factors in developing content marketing: 1. FameCreate conte..
Laura Xiong Chief Branding Officer JD.com JD.com is China’s second largest ..
Local factors determine levels of awareness, consideration The awareness gap between Chine.. 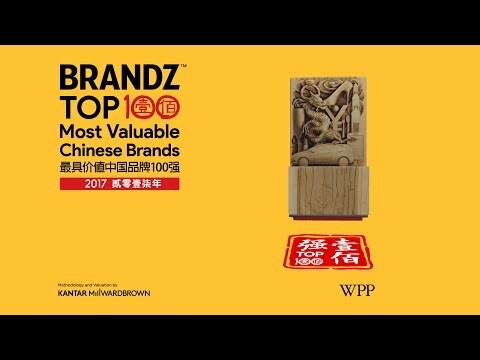 Awareness high for established brands, but so is competition The BrandZ™ Top 30 Chin..
Internet brands have potential for Brand Power growthAlthough the BrandZ™ China Top 30 Ex..
Two categories represent over half of the brands and the Brand Power Consumer electronics,..
Scores show great potential for Internet-driven brands Brands in both established and Inte..